Senator Ted Cruz delivered a powerful speech at the Republican National Convention. He outlined a path to turning America around. But he did not endorse Donald Trump for President. Instead, he told the crowds: “Vote your conscience.” He says he won’t attack Donald Trump. But at this point, he won’t officially endorse him. I understand evangelical Christians, conservatives, and libertarians have great reservations about Donald Trump, and many are still undecided. They know they cannot support Hillary Clinton. But they’re not sure about Trump, either. But Ted Cruz made a pledge to support whoever the Republican nominee would be. At this point, he is breaking that pledge. He is breaking his word. This issue of integrity is critical. 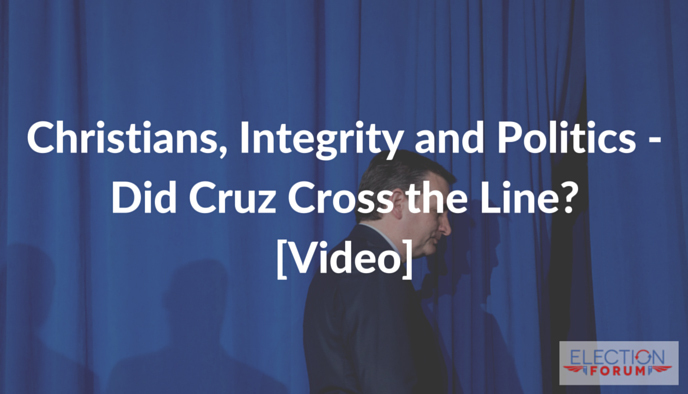 Senator Cruz conducted his entire campaign with integrity. But his personal animosity over Donald Trump’s unethical assault on his wife, and immoral lie about his dad has had him say, it suspends his pledge. I am curious what you think. If someone does something wrong to you, does that give you the right to go back on your promise? Recall the account in the Old Testament between Joshua and the heathen Gibeonites (Joshua 9 and 10). They were afraid that the nation of Israel would kill them, because God had promised the entire Promised Land to the Israelites. So, they made it look like they had traveled a long distance with moldy food, dusty and dirty, even though they lived closed by. They sought an alliance with the people of Israel, and even pledged to make themselves servants. Joshua agreed—without first praying about it—but then found out that he was deceived. Without praying for God’s guidance first, Joshua entered the agreement with the Gibeonites. In making a league with them, he did contrary to what God wanted him to do. But here’s the thing, GOD insisted that he fulfill his promised and his word, and not break it even though Joshua did it in disobedience. Even though he was lied to. Even though it was deception Even though it was under false pretense. God insisted that they keep their word. Should Ted Cruz keep his word, despite Donald Trump’s personal attacks? Should Ted Cruz keep his word, as an example of him being an example of him being a man of honor and integrity? I like about Ted Cruz, but this is quite troublesome. A similar thing like this happened to me when I ran for Congress. I made a pledge to support the Republican candidate who would win. Several of my contenders were very troublesome, who were running against me, but I made the pledge. They made the pledge, too. It was mayor the of Redondo Beach, and he would not endorse me, despite his promise to do so. So I know the situation every well., and I know what the word of God says. What do you think? Too late!!!!! He should have declined speaking at the RNC Convention. In my opinion his career is over. Amen Rebecca…it shows that he is not very diplomatic..much less a Christian. What did Jesus said: forgive them seven time seventy… He made Christian look bad.. I’m sorry I supported him in the beginning but when I started to see the things he was putting about Trumps wife. And that is why Trump also responded about Cruz wife. I feel sorry for Cruz, his career in politics is over. I don’t think he can recover. He showed his TRUE colors, I ALWAYS had a uneasy feeling about him from DAY ONE. And this totally confirmed it with me! 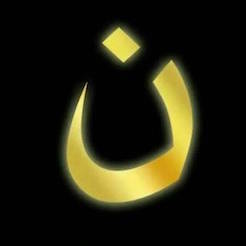 Sadly, He disgraced all Christians by not forgiving and breaking his promise. What message did he just tell ALL non-christians about Christians. He could of done such an AMAZING things for Christians by showing (Forgiveness) and Uniting the Party. But out of HIS OWN SELFISHNESS he choose to hurt us more and GIVE KILLARY a better chance. HE IS A DISGRACE! PERIOD!!!! My mother always said, Give him enough rope and they will eventually hang themselves. Ted Cruz is a great American, a good man who stands on principle, but wise in his own eyes — selfishness is that great sin that veils ones own eyes to what is the “right thing to do” and Ted’s failure may boost his ego a bit but it has likely killed his career beyond being Senator from Texas. Supporting the nominee is the ONLY right and wise thing to do. To end a GOP convention speech with “vote your conscience” was at best, sophomoric. You and the media have all left out this little tidbit of information. The way I see it, there are always two sides to every story, one seems right until the other is revealed. While I cannot support Hillary Clinton for POTUS, I’m still undecided about DT. The words of Exodus 18:21 are ingrained in my mind: “You shall select from all the people able men, such as fear God, men of truth, hating covetousness.” This is our standard bearer as believers. There are many evangelical pastors who spoke out during the primary season that said the Bible doesn’t tell us how to vote, well that is just plain wrong. The Bible has an answer for all of life’s issues, we only need to choose to consult it on a daily basis. I’m still undecided, I personally believe Ted was set up. Especially knowing the FACT that they all knew before hand exactly what he was going to say, that he wasn’t going to endorse at the convention and they allowed him to speak anyway. I am still prayerfully considering my vote. It’s the best any of us can do. God bless you! I wonder what you would do if someone insulted your spouse the way Trump did and inferred that your dad was involved in the assasination of Kennedy? Trump is one of the most disgusting individuals to ever run for this office and Clinton is right up there with him. Will I have to cast my vote for him? I will probably have to do this because the alternative is even worse but I will leave that voting booth in tears. Oh my gosh, get reality into perspective. What was the big insult on Cruz’s wife, a photo shot of each wife, big deal. I mean seriously get it into perspective, not that big of a deal. And furthermore, he stated for everyone to hear, “I probably shouldn’t have posted that and if I had it all over to do again, I wouldn’t.” YET that is such a big deal to Cruz supporters. And what in the heck is everyone up in arms about the Kennedy thing? We all have the freedom to believe what we choose, many believe this could be possible, many believe its not. No matter what we say or how we act isn’t going to change the freedom to believe as we do, so everyone holding on to these couple of stupid things really need to let go and move on. Or a better saying is: Let Go & Let God. Beverly the wife insults started with Cruz…..after that Trump was just telling the facts….In the primary every body called each other names, etc. just like lawyers in the court room, where the stronger survive and when all is over they go out the court room and shake hands…. I think Ted Cruz gave an excellent speech. He was set up and all those in charge knew he wasn’t going to endorse Trump. Did you watch Trumps full behavior with the press con. just before he left Cleveland?This is supposed to be our next pres.? Agreeing to support Trump before he became the Republican nominee does not, therefore, give Trump the right to go into the gutter attacking everyone and anyone with whom he disagrees. Had Mr. Cruz’s wife and father been attacked so viciously before the declaration, would Rubio still have stood there and declared that he would support Mr. Trump? Why did Trump wait until after the candidates had to declare their support before showing his true colors? This belief that says we should all give up our principles for the sake of the party is vacuous nonsense. At what point does Mr. Trump have to be held accountable for his use of slander and character assassination in order to win the nomination? Does anyone who supports Trump actually believe that he will suddenly morph into a true statesman once he is president? Mr. Trump used the underhanded and disgusting techniques that would shut down all other opposition; what makes any of his supporters think he won’t use the same techniques once he holds the most powerful position in the United States? He will betray every single one of you once he sits in the Oval Office. Yes, Mr. Cruz could have stayed home. Perhaps that would have been the wisest thing to do. But if telling people to vote their conscience and choose people who defend the Constitution produced booing in the audience, what does that say about the ones who did the booing? Are they not for choosing candidates who defend the Constitution? Do they believe that Mr. Trump is not one of those candidates, but will still vote for him because this man calls himself a Republican? I am sick at heart for what I see happening in my country and sick at heart for all the people who have allowed their emotions of anger and fear to guide their choice for a President. May the Lord God have mercy on us. I totally agree Linda. It seems that we’re “voting AGAINST a candidate, rather than FOR a candidate” this election. I was for Ted Cruz all the way until he gave up. I agree with Ted Cruz when he’s angry at Trump for attacking his family. Family should NEVER be a target of any candidate. BUT he made a PROMISE, and that should always be honored, NO MATTER WHAT. That’s the one thing I disagree with Cruz about. He should forgive Trump (which is, admittedly, hard) and endorse him. One reason being that the alternative candidate, Lying Hillary, is MUCH WORSE. But the over-riding reason being that God requires that of us. It’s HARD to forgive, but hanging on to prideful anger only hurts yourself, not the other person. I need to practice this, too, every day. Linda, you asked questions of Trump supporters – do you really want answers? Your heartsickness need not be so overwhelming- why, because God has a handle on all of this. You lose sight of the fact that Mr. Trump has literally thousands of people praying for him, and as important, thousands that serve in their lives as Christian leaders. Time & again leaders (Pastors, etc) have met separately and with Mr. Trump in order to reassure he will be anointed with God’s grace. He showed his true colors (as you say) in his speech the other night when he thanked the Christian community for their support, acknowledging he wouldn’t be there if not for them (meaning our prayers) and humbly stating, “I’m not sure I actually deserve it…” Leave your love for Cruz aside and open your heart & mind to hear what God is telling you. God is using Trump for a purpose, for a movement, for a time of healing that is sorely needed in this hateful Nation. Its too often we see diehard Cruz supporters simply hate Trump because Cruz hates Trump. My question is why do you put Cruz on a pedestal? He is not so wonderful, he is a sinful man like all others. He does lie, he has been caught lying, he is mean & angry, he lashes out and spews hatred toward another of mankind yet that’s ok with you because you simply hate Mr. Trump. The question is, what is the difference? You see you are blinded by your own desire to have someone in office. But there are millions of us who support Mr. Trump and see things completely differently than you. We are not the blind ones, we are Christ followers, we are in prayer groups bringing all of these issues before our Lord & Savior Jesus Christ, we believe in Mercy & Grace because we daily receive (undeservingly) mercy & grace from not only our Lord God, but those of us that circle our lives. Your hatred is hurting you, not Mr. Trump, just as Ted Cruz’s hatred is destroying him and his walk with Christ if indeed he does. For the sake of all those you acquaint yourself with, let your hatred & anger go so you can be a shining light reflecting God’s unconditional love & grace to those around you and a world that judges we Christians unfairly as we were warned in His Book that would happen. Ted brought a very dim light to God and our Lord Jesus Christ because he reflected to a hurting and lost world exactly what they all believe about God. God is speaking right now to you through me. Has everyone forgot, the Cruz camp attacked Trumps wife first? Two wrongs don’t make a right, but Cruz is not more righteous in this case. Too many people perhaps have not forgotten, but chose to ignore that fact. It was even fact checked through cellphone evidence that it came from Carly Fiorina’s camp when she decided to support Cruz. I WAS leaning towards Cruz, NEVER AGAIN, YOU SHOT YOURSELF IN THE FOOT. It would have been better not to speak. I also condem All the Bush family, Barbra I thought more of you, get ALL your boys in line. On March 29, Trump told CNN that he was not going to honor his pledge because the GOP establishment was mean to him. The same establishment that Trump is is in bed with now. He has never offered an apology for his actions directed toward Cruz’s family. As far as apologies go, how well did Cruz’s apology to Dr. Ben Carson go when some of his campaign folks erroneously believed an on the record CNN broadcast which stated that Carson was dropping out of the Iowa caucus? As a Christian Dr. Carson should have responded with forgiveness but did not. Instead, he joined the man who very blatantly engages in atrocious, vindictive smearing tactics. Why is Carson not smeared by everyone? (Of course he bowed before Trump, so he is spared!) I’m disgusted by the whole process — but especially those who are willing to vote for a man who is acting like “God” and stating he alone can fix everything.. This election is reminiscent of 8 years ago– only it is the right that is being deceived. The Lord is truly shaking things up because literally every so called “conservative” I’ve supported and believed for years have proven they are willing to surrender their principles out of “fear” of Hillary. We know fear doesn’t come from God, so is it any wonder there is such chaos. I will not vote for Trump or Hillary. I will vote my conscience. Ted Cruz is an honorable man who is accountable to God and his family — not you or me. The reason Mr. Trump is supported by so many millions is because he is NOT in bed the establishment. And clearly you do not listen to him speak because he still, even with everyone begging him to become “more presidential” he speaks honestly about how he really feels about all the corruption in politics. The establishment does not want him at all, but according to what you spew he’s in bed with them – not so much, try to pay better attention to truth. You and all the others contributing comments on this page that simply hate Trump are lost souls. Your hatred is going to destroy only you, not the person/people you’re directing it toward. You are blind to think Cruz is an honorable man, he showed his true colors and you refuse to admit to it, so what does that make you? That is not true — get your facts straight. A PAC not associated with Cruz campaign sent the picture of Melania in Utah. So do you know the laws about super PACS?? If you have proof that Cruz conspired with this PAC, please make sure it is submitted to the proper authorities because it is illegal and should be prosecuted. However, you probably believe everything you hear from Trump, his minions, and the biggest Trump PAC of this election — Fox News. I also have to agree with Linda. Since the time of the pledge Trump has shown his true colors. As Cruz said repeatedly Donald Trump is a New York Liberal who has been in bed with the corrupt Washington elite for over 40 years. It is not the fact that Trump attacked his family that concerns me as much as Donald Trump’s complete lack of character or moral compass. My goodness you expect Cruz to walk on water. Now if Trump had asked for Cruz’s forgiveness and if you could trust anything he says I might feel differently. Ted Cruz is responsible for his actions not Trump’s. Cruz gave his word he would keep his pledge, he went against his word. His credibility is tainted now. He has put his own pride before the American ppl. Now more than ever the American ppl have to unite to beat Hillary. Rubio said it best and honored his pledge. Unite to beat Hillary. Do you really think that Donald Trump is any better? First of all THIS is Ted Cruz’s life and his career’not ours. He had a decision to make–family vs political career. Second-if the fact he didn’t endorse Trump means you won’t vote for him in 8 years leaves me to believe you weren’t really for him anyway. BIBLICAL THEOLOGY IS QUITE COMPLEX. QUOTING ONE TEXT IS MISLEADING AND TOO SIMPLISTIC. After God, next comes family, country third. If you can’t comprehend that then don’t quote the biblical law. FAMILY TRIUMPHS POLITICS–ALWAYS! Yes, politics is way down the line in importance in the span of life. Family comes first. Great point! Foolish to think that pledge is a blanket agreement to support someone no matter what they do. Again, sounds like how the Democrats say you support Obama or the party no matter what they do. It has nothing to do with forgiveness of personal issues. Behavior has consequences. Good people have moral objections to supporting Trump. And no one should ask another believer of all people to violate their conscience for the sake of a political party or race. Shameful. I was very disappointed in Senator Cruz. If he dislikes Trump, he should have kept silent and stayed home. I believe he thought he’d be able to triumphantly rally some large group of supporters by what he did at the convention. Instead, he ruined a wonderful experience for the attendees and almost ruined Mike Pence’s night. He came off looking vindictive and petty. This points back to a general problem Cruz has as a candidate: he has a tin ear when it comes to people and is more focused on serving himself than serving others. In the first place.. Cruz should have stayed home if he feels the way he feels! Then also, to clear things up… 1. To start with, one of Cruz’s Pac was the group that started this whole mess by sending a risque photo of Meleana Trump when she first starting modeling, on Facebook. Then D. Trump sent a photo of the two wives together… showing one was better looking that the other one…. then…. someone ( Cruz’s Pac ?) sent the same risque modeling photo of Meleana to all the voters in Utah before D. Trump had his rally there. No wonder D. Trump lost the state of Utah! Look at what Cruz did to Dr. Carson…. (which was the very first thing to happen before Meleana’s photo,) Dr. Carson left to go get some fresh clothes at his home (only gone for a couple of days, and Cruz sent out letters that “Dr. Carson dropped out of the race AND Cruz welcomed all of D. Carson’s voters to come vote for him!). Dr. Carson went down hill from then on. Thank you Cruz!!!! Then the Cruz’s super Pac sent out the first photo of Meleana, Then the same photo was sent out to Utah! Then….. D. Trump said he saw a photo of Cruz’s Dad on the cover of one of the magazines having breakfast with Ozwald. And that photo was shown everywhere. The Media likes Cruz a little better right now than they do D. Trump…. (because they are frightened of D. Trump.. they will loose their power etc. when he takes office.) The Media isn’t bringing all this stuff up for our memory because they are leaning towards Cruz for the moment. The Media wants CLINTON!! I agree Cruz has lost his honor and respect! Cruz over stepped and I don’t think he will ever see the White House as he wants it. Too bad he has done what he has done. BUSTED!! PTL!!!! D. Trump can fix all this MESS because he as a business man has played both sides for his own business. He knows all the players and they are afraid of him because he knows ALL THE SECRETS and is willing to call them out and get things done right! Big change is a comin…… I’m just sayin God Bless D. Trump! This election is not about a person, it is all about ideologies. Last presidential election 25 million conservatives did not vote. The Democrats won by only 5 million votes. The next president of the United States will have an opportunity to appoint new Supreme Court justices and federal judges. Will those appointed judges honor the Constitution or rule like it is antiquated? It’s not just about this election or the short span of time we live in now. We are living in history (His Story) and what was started over 200 yrs. ago as our nation was birthed in the heart of God. We are continuing what our founding fathers began as an experiment, freedom endowed by our Creator. Whether agreed upon or not, this form of government has Biblical roots. Our participation now is a continuation of what the founders birthed. Their prayers are being answered today in what we do with the freedom and responsibility they passed on to us. If you are unsure of the individual party platforms they are available on this website. Each candidate for president will work toward their parties platform, which do you envision for America. Pray and Vote! The night I saw the Ted Cruz speech, I wrote him a letter to his Austin office, snail mail. I have carpal tunnel and wrote 3 pages on lined paper, so it looked like a 3rd grader wrote it, but it was worth it. I figured he would be more likely to open mail, than delete an email. I told him how blessed we were to hear his father speak at our Calvary Chapel last year. I told him we were assuming that he (Ted) was a genuine Christian also, and we had promoted him to others (after Dr. Carson, our first choice, dropped out) who didn’t like his countenance, didn’t trust him. But after his team cheated Dr. Carson out of Iowa votes, and after his friends got 90 year old Phyllis Schlafly’s radio program removed from the air for supporting Trump, we were sickened even more by his selfish failure to endorse Donald Trump, and I told him so. I told him neither Clinton nor Trump appear to be born again yet, but she’s deceitful and he’s patriotic. I reminded him that we’re to pray for our “enemies” and not to expect them (the world) to operate like we do. I let him know that I imagined he’d lost the respect of many Americans, and possibly hurt the Republican party. (Now I doubt that, I’m guessing it helped Mr. Trump!) I told him he could not be at peace in his heart, and he needs to change, endorse Trump and act like Dr. Carson, who told Fox News that he puts our Nation’s future over any personal hurt feelings. Tonight I’m going to write a letter to Mike Pence and mail it to his governor’s office. I’m going to congratulate him, ask him to make sure he and Mr. Trump see “Hillary’s America, The Secret History of the Democratic Party” (which is also free on Youtube! ), and I’m going to tell him that we are praying daily that the LORD uses him to gradually share God’s truth with Mr. Trump so he can come alive in Christ also. I truly think that the LORD has put this team together so America can repent, and her eventual judgment can be postponed, so more souls can be saved. Marsha, How wonderful of you to take the time to write a letter seemingly so worthwhile because you spoke from your heart. I appreciated reading what you stated you wrote and agreed with those sentiments. I hope this changes the course he’s on because its a dangerous one. But then, if he does suffer from egomania & narcissism, then he has lost his way and won’t hear God because he’s clouded. I didn’t realize he was behind the Phyllis Schlafly’s demise because I never got the entire story. What a shame each step of the way he was intentionally trying to destroy people’s actual lives, not just political strategies, that says so much and most of what its saying is he lack of following Christ. I understand he is upset about the things Trump said about his wife and father, but Cruz missed a great opportunity to show the love of Christ to an unsaved world by not extending forgiveness when unasked for. What a testament of forgiveness that would have been! Very interesting comments, and I could definitely see both sides of this issue. If it is contradictory to agree with both viewpoints, consider me then guilty. Cruz and Carson were actually my #1 and #2 guys going into this election so I guess that (as most) I’m somewhat biased here. However, this election has broken some very new ground to say the least. Mr. Trump’s meteoric rise in the polls was as much a surprise to me as it was to millions of people. And while I sincerely agree with some of the things that he stands for (that’s why I’ll be voting for him), his words and actions at times have been less than commendable to say the least. But of course, this is the world of politics in which we live in and the “win at all cost” mentality will always prevail in it. So be it. That being said, I really think that Mr. Cruz should have sought a private meeting with Mr. Trump (before the RNC) to air his reservations about endorsing him, and hopefully obtain the apology that he obviously needed to hear. He should’ve done that. I don’t think that his speech was viscous in any way, but without that critical meeting of both men, he simply felt that he couldn’t endorse a person that would slander his wife and father. That’s understandable, regardless of the promise. C’mon folks, have we all kept every promise that we made? I just hope and pray that Mr. Trump isn’t our “King Saul” if he does indeed become POTUS..
Ted Cruz said “vote your conscience” in the RNC. Can’t Donald the GOP candidate be voted by our conscience? Right everybody think probably he is a clown. His reaction to Trump’s personal attack was OVERreaction. As my pastor often says, “Don’t be so surprised when sinners sin.” Since then, it’s all been just plain bad attitude and immaturity. So disappointing. This is rich. Did Cruz cross the line? Did CRUZ cross the line? TRUMP has crossed every line imaginable, multiple times. This is not “telling it like it is.” This is boorish, ignorant foolhardiness. The man is a vindictive, authoritarian buffoon. Despite the fact that he had APPROVED Cruz’ speech (which in fact was very gracious considering Trump accused his father of aiding JFK’s assassin–are you kidding me? ), he deliberately sent his yellow-hats out on the floor to WHIP BOOING at the very moment that Ted was praising freedom and the Constitution. How can a Christian vote someone who says his favorite saying is “An eye for an eye”? Whose first action coming out of the convention was NOT pledging $20 million to defeat Hillary, but pledging $20 million to take revenge on his Republican “enemies,” Cruz and Kasich? Who walks back every empty “promise” he makes? Whose daughter made a great case for the DEMOCRAT platform (Trump’s true leanings). The only honorable person in the race is former NM governor Gary Johnson. Despite his open borders and pro-abortion leanings, I will vote for him and pray that Congress rediscovers that it is a co-equal branch. At least this guy understands what Liberty and self-government mean. I believe we are confusing issues. I think the failure of your primary opponent was dishonorable. You were the same person/candidate when your pledge was made and when you won the primary. Can the same be said of Donald Trump? Can the revelation of the extent of Donald’s behavior justify the cancellation of a pledge of support? If it shows a terrible flaw, I think so. The President wields a lot of power. If a candidate shows vicious inclinations against innocents, from that point on, it would be immoral not to reconsider a pledge of support. Whether Donald’s actions warrant the loss of pledges should be the topic. Ultimately, Donald can prove in word or deed if the pledge is worthy of enforcement. I AM TROUBLED BY THE FACT THAT HE HASN’T. Wow! why don’t we show Ted a little grace? After all we are christians,right? he is the runner up and really has absolutely nothing to do with the future of this race. He may still repent and support Trump I think there is still time (Nov.2016 remember). Donald used some very unsavory tactics in running his campaign. I would highly recommend reading Sal Alinsky’s ” Rules for radicals book that Dr. Ben Carson mentioned in his speech at the RNC( in his book he teaches that you should make your opponent your enemy, and you the ignorant follower really do not know any better), I really enjoyed Mr. Trump’s acceptance speech and I will vote for him and hope that he lives upto his constitutional promises and responsabilities but honestly, I am skeptical ( I hope we have not been duped). If you feel Ted let you down I would ask that you find it in your heart to forgive him and pray for him because we need the boldness and courage that he has exhibited in his political career so far, (he does stand his ground) Iron sharpens Iron and it doesn’t always feel good. and give us Your wisdom Lord. I profoundly disagree with the negative comments and disparagements against Ted Cruz. Trump went way too far, attacking his wife and father with deeply cutting lies. The pledge was broken when Trump had decided he did not have to keep it, just before the Wisconsin primary. Ted Cruz’ did the admirable thing, and I do not believe that his career is over. Cruz is who Cruz is…He ran on repeal Obama-care.He did a 21 hour 19 minute fake filibuster against it to wins supporter’s hearts and then he voted for it along with 100% of the US Senate.The vote was not 99 to 1. There is Obama’s success, the GOP has voted with Obama and the democrats while the republican cult followers are wrapped in celebrity worship and will not check their voting records but listens to the lies of the Romney media.Mitt Romney owns Clear Channel. Cruz is not a man of his word.He is actually evil. Disagree ? Then ask him about his 1 man, 1 woman is God’s design for marriage ? Then note his vote record, he voted to confirm all of Obama’s gay activist judges, again with all of the republicans confirming them too. Republican citizens are cult worshipers. Please check their vote record before you disagree ? Ted Cruz should not have attended the RNCs convention. However, Donald Trump is a mean-spirited individual. His attack on Cruz’s wife and father went too far. But then, Trump also insulted Jeb Bush’s wife and essentially said that Carly Fiorina was ugly. He refused to apologize to either of those women. I consider myself an evangelical but am stumped at the evangelical support of Donald Trump. If Donald Trump were a decent human being I would understand the support. Mitt Romney was a genuinely nice man and I know evangelicals that couldn’t vote for Romney because he was a Mormon. Yet these same people are jumping on the Trump train. That’s shocking to me. I would vote for Mitt over Donald any day of the week. So here’s my question, as an evangelical, why support Donald Trump when he is such a rude and divisive individual. He’s not these things for supporting Biblical principals but because he sets people against one another. And before you say he’ll nominate conservative jurists you have no guarantee of that. At the convention, his daughter pushed an agenda more in line with democrats. In fact, she was talking policy and that she would work along side her father. I have no doubt that Ivanka would be one of Donald’s most trusted advisors. So how do you trust him to do right by the Republican base? He didn’t do right for those at Trump University. It’s also incredibly telling that President George W Bush didn’t endorse Donald Trump. George W a president I still adore. John Kasich didn’t even attend the convention in his own state because he doesn’t believe Trump is good for our party – let alone the nation. So, again, how do you vote for a man like him? A man who’s claim to religion is that evangelicals voted for him. For the first time in my adult life I won’t be voting for President. And, in fact, I’m ashamed that Donald Trump is the face of the Republican Party. He does not represent me. And the Republican party should be ashamed he’s representing them. We had many incredible people to choose from (Marco Rubio, Carly Fiorina, Mike Huckabee, Bobby Jindal, John Kasich, Jeb Bush to name a few) instead the mob selected the one person who is just as polarizing as Hillary Clinton and President Obama. A person who is just as mean and destructive. I pray for my nation. I agree whole heartedly. I can’t vote for either candidate. I truly believe Donald Trump is just as vile as Hillary. Trump could have extended the olive branch to the other Republucan candidates but his arrogance and pride wouldn’t let him. I have no doubt he would treat other world leaders with little or no respect. A theme that has continued through this past week in these comments against Trump while praising Cruz is the phony rhetoric of respect (e.g.) Trump is so disrespectful, treats others with such disrespect, etc. However, each person has adamantly spewed their inability to vote for Trump for those reasons, all the while condemning him, ripping him apart, casting negativities against him, all under the guise of being “respectful.” Really?! Notice the difference: those showing disappointment, dislike, etc. for Cruz stated facts about what he has ALREADY done (which makes them facts, not feelings or opinions). Opinion: The Cruz supporters sound more like Democrats! It was so good to read the comments. People cared enough to share their thoughts. Tough decisions aren’t easy to make. I cannot help but think that Ted Cruz prayed before he went to the Republican Convention and said what he said. As we move forward to the general election I will continue to pray for our nation and for Christians to pray and vote. To be fair, let’s analyze this from a Natural Law standard using reason, and revelation of the Scriptures. Ted Cruz went back on his pledge and that speaks volumes to me! He comes across as someone who just wants to be able to be called “Mr. President”! He is scary actually the way he speaks, very much the antithesis conservative of liberal Hillary Clinton. As far as I am concerned his political career is a bust from this day forward. His super pact still started the wives spat. Whether Cruz knew about it, or not, all he had to do was apologize to the Donald and tell his people never to pull this kind of stunt ever again. The issue could have been nipped in the bud and gone no further! it could have been that EASY!